A Golden Service? - ONRAD, Inc.
26 Jul A Golden Service?  I recently sat down with the COO of a medium-sized East Coast hospital who is interested in ONRAD’s teleradiology services. After briefly getting to know each other, he simply stated, “Your company is golden. Hybrid radiology coverage is the future and your company is well positioned to take advantage of this shift in hospital needs”. In their situation, they are losing money and need to make cuts that save money without sacrificing patient care. He was adamant that he would not sacrifice patient care to save money, which I completely respect. In further explanation, he said that he desires to go from 3 on-site radiologists to 1 on-site radiologist and have the overflow covered by a teleradiology company like ONRAD, day and night. Aside from being appreciative of his compliment and honesty, it was intriguing to hear that he believes this is the wave of the future. In fact, he claimed it was an absolute necessity in order to survive as an inner city hospital. In the same breath, he also noted that this shift doesn’t have to include predatory tactics as the downsizing is a natural tactic and simply a necessity. The entire group doesn’t have to be replaced and he mentioned that most radiologist are well aware of this potential change and should not be surprised. It just goes to show that the business of patient care is no different than running Cisco or RIM, which have recently just annouced some downsizing. In order to be efficient and profitable, downsizing is necessary. So, is this the opinion of one COO with over 20 years of experience of running hospitals…or is there a different reality? ONRAD firmly believes in and embraces this fundamental shift in service models. As a physician-owned group, we get that change is inevitable and rather than fighting it, we have prepared to support hospitals with this emerging need.